When I was a kid there was a substance called Silly Putty. If you smoothed it out just right, it was possible to press it onto a newspaper comic to make a transfer. From there you could stretch and compress it in a way that made the artwork quite silly. The owner of this San Diego taxi cab seems to have done something similarly silly with the truth by calling this Prius a fancy limo. 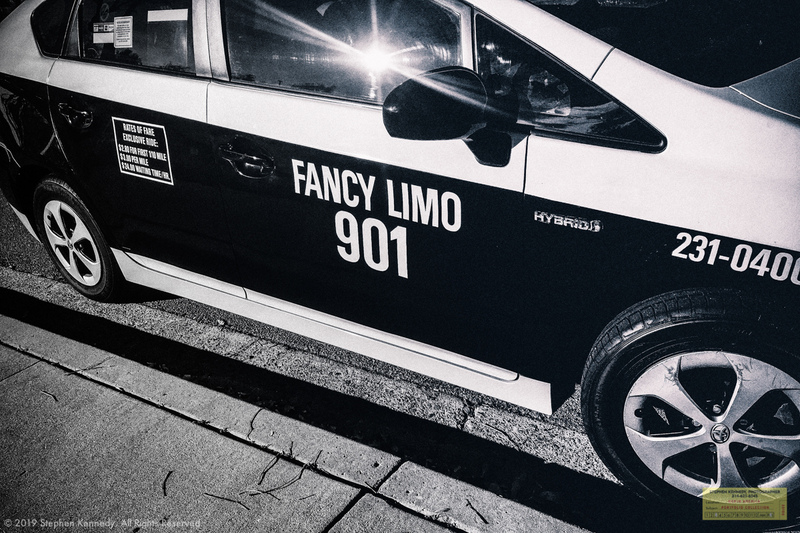 The last time I checked, a “limo” is not a vehicle that’s supposed to be covered with decals or have a big meter on the dash. From a marketing standpoint the name “clean taxi” might have been a bit better even though it’s just as distant from the truth as “fancy limo” is in its current incarnation.